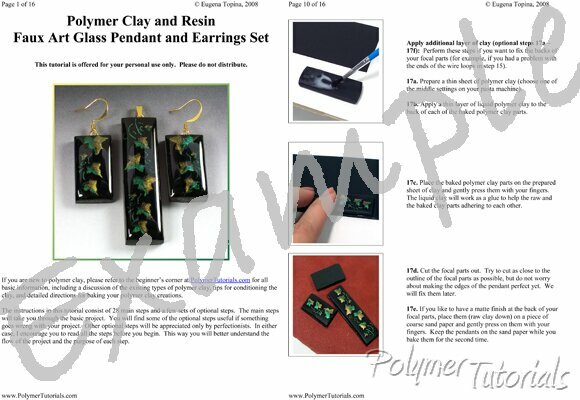 The focal beads made following this polymer clay and resin tutorial have very neat and delicate three-dimensional design covered with clear resin. The resin creates smooth and shiny surface, which looks like glass. With this tutorial, you will be able to create the designs with different colors and patterns. Place a mouse over the small pictures on the right to see them enlarged. Magnifique tutoriel!!! Merci! Je suis contente de mon achat! ..